For over eighteen years, Rochelle Birnbaum Chiocca has represented private entities throughout Florida at the trial level in commercial and insurance disputes. Ms. Chiocca also has experience in interpreting insurance policies and in rendering opinions on coverage, duty to defend, duty to indemnify, and other insurance contract related issues, particularly in the areas of property, environmental/toxic spills, automobile, and construction law. Ms. Chiocca works with clients to identify cases that are appropriate for early disposition, provides clients with bottom line assessments of liability and damages, and offers clients aggressive, intelligent handling of those cases that need to be tried. 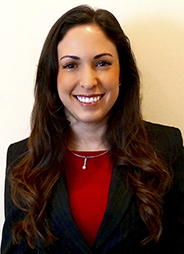 Ms. Chiocca is approved by the Florida Department of Financial Services as a continuing education instructor in the areas of Adjuster Law and Policy and Adjuster Ethics. She is also approved by the Florida Department of Business and Professional Regulation to offer continuing education to Community Association Managers. Ms. Chiocca received her Bachelor of Science degree in Political Science and History, her Master of Arts in International Affairs, and her Juris Doctor, all from the Florida State University. While in law school, Ms. Chiocca studied abroad at the University of Oxford as part of the Florida State University Summer Program in Law, served as an Articles & Notes Editor and as the Technical Editor of the Journal of Transnational Law & Policy, and was a member of the Journal of Land Use & Environmental Law. She is admitted to the Florida Bar and the Bars of the United States District Court for the Northern, Middle, and Southern Districts of Florida, the United States Court of Appeals for the Eleventh Circuit, and the Supreme Court of the United States. She is also a member of the Palm Beach County Bar Association. A life member of the Florida State University Alumni Association, Ms. Chiocca also supports her alma mater by serving as the President on the Alumni Board of Directors at the Florida State University College of Law.